Now Leasing ATM Machines! Call 877-770-3322 For Details! The Nautilus Hyosung HALO is the latest addition to the star studded line up of wholesale ATM machines offered by ATMWholesaler. The HALO series ATM machine is the latest and greatest from Nautilus Hyosung. The most distinctive feature of the Nautilus Hyosung HALO (for which it was named) is the illuminated multi-color LED recessed keypad. The HALO keypad is a modern approach that offers improved functionality and aesthetics, the LED lights even change colors to attract customers to use your ATM Machine. The Nautilus Hyosung HALO-S is the big brother to the HALO, the latest and greatest from Nautilus Hyosung, the industry leader in innovative and efficient ATM machines.The Hyosung HALO-S comes complete with a high-gloss white finish, a metal key cap EPP (Electronic Pin Pad) and an Electronic Lock. With all of these incredible features, the Nautilus Hyosung HALO-S is the perfect choice for any savvy business owner looking to attract more customers and get the highest ROI of any ATM Machine on the market. This low-cost ATM comes with a wide variety of features, and is even offered in a "Green" model that does not come with a printer. Some other eye catching features of the Triton ARGO 7.0 Series ATM Machine include a 7 inch capacitive touch screen (800 x 480 pixels ) The ARGO 7.0 is PCI compliant, ADA compliant, has the capability to support Dip style, EMV, and Motoroized EMV card readers. Want customers to easily see your ATM machine? The ARGO 7.0 shallow cabinet model comes with an integrated ATM topper, and the Deep Cabinet model has the ability to add a "high topper" which can be seen from even further away! This top of the line ATM machine was designed to be one of the most innovative cash dispensing machines on the market. The ARGO 12.0 includes both a 12.1 inch TFT touch screen display and capacitive touch function keys. It comes standard with a dial vault lock, upgradeable to a Kaba Mas Cencon Electronic locking mechanism. The ARGO 12.0 also has an optional security camera to provide peace of mind to customers & owners alike! With so many ways to customize the Triton ARGO 12.0 it's sure to be the perfect ATM solution for your business! 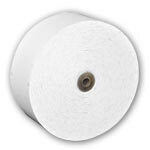 Lowest pricing on ATM Receipt paper in the industry! Visit ATMWholesaler.com to take advantage of these amazing prices now! Elite Bank Card Solutions is a registered Independent sales organization/merchant services provider for RBS Worldpay, Citizens Bank USA.